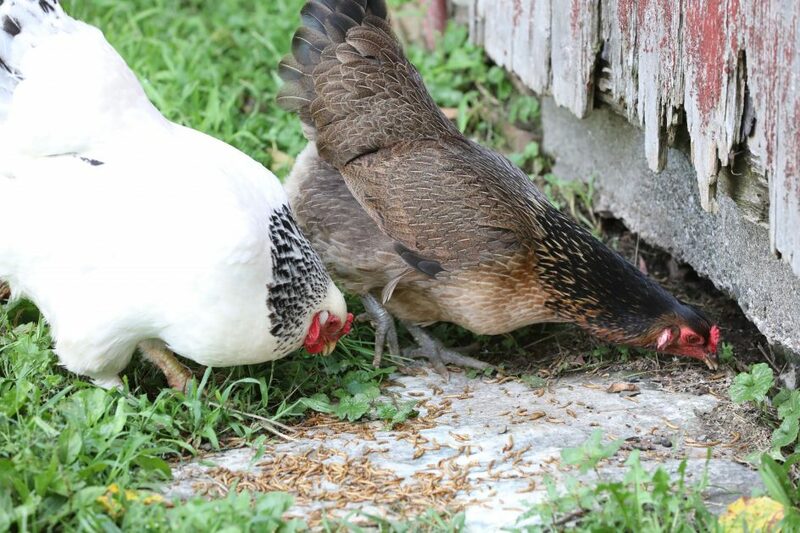 In one way or another, I love all of the animals on the farm, but I have drifted apart from some – mostly the chickens and the sheep. I adore the donkeys and am profoundly connected to them. The dogs and barn cats too, especially Flo. Maria is so good and attentive with all of the animals – she brings the hens gourmet delicacy’s from restaurants and friend’s dinner tables – that I don’t bother with them much. They don’t have time. But i also throw things at them and curse when they try and steal the barn cat’s food or come up on the porch to take enormous and smelly dumps. So I’m on a meal worm campaign, not unlike the Beef Jerky campaign I launched against Frieda, Maria’s fellow-man-hating companion. My philosophy is simple. We like to think animals like chickens and dogs love only us, but the hard truth is they tend to love anyone who feeds them and doesn’t hurt or frighten them. So I ordered a big bag of mealworn and every morning, I go over to the barn door next to the stone slab, cluck like a fool and the two hens we now have coming rushing over. I dump a handful or two on the stone, and get closer each time. The chickens are relaxing around me. Now, when I go out to the pasture, they run over to me, not away from me, they want to see what I am carrying. If it’s only the camera, they yawn and move on. If it’s meal worm, they are my dear friends. They want to hang out with me. This will take some consistency and a month or so. Chickens are dumb about some things, but not about food. They are coming to see me as a good thing, and I think if I stay patient about this and do it every day, in a week or two, all will be forgiven. So far so good. Uh oh. I, too, tend to love anyone who feeds me and does not hurt or frighten me. I like to think I’d draw the line at meal worms.